I bought Hoya calycina (IML 0201) as a cutting from the Liddle Nursery in Australia in 2009. It is an easy, and vigorous grower that flowers in response to shortening day length hours. In appearance and habit, it is very similar to H. magnifica and until it flowers the two plants are difficult or I should say impossible to tell apart. The leaves are pubscent (fuzzy), and the flowers have red centers and are around 1 ¼ inches (almost 3 cm) across. 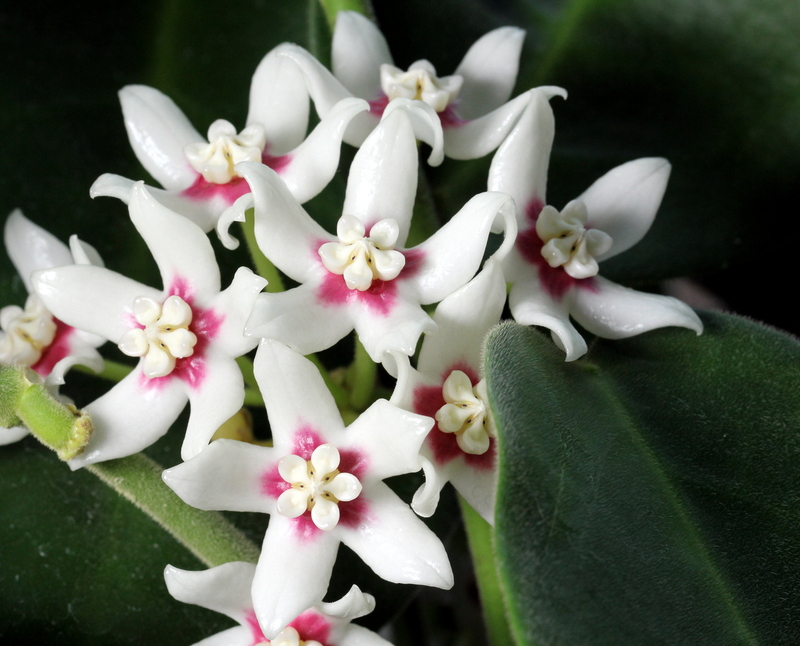 The plant originates from Papua New Guinea and was first described in 1913. 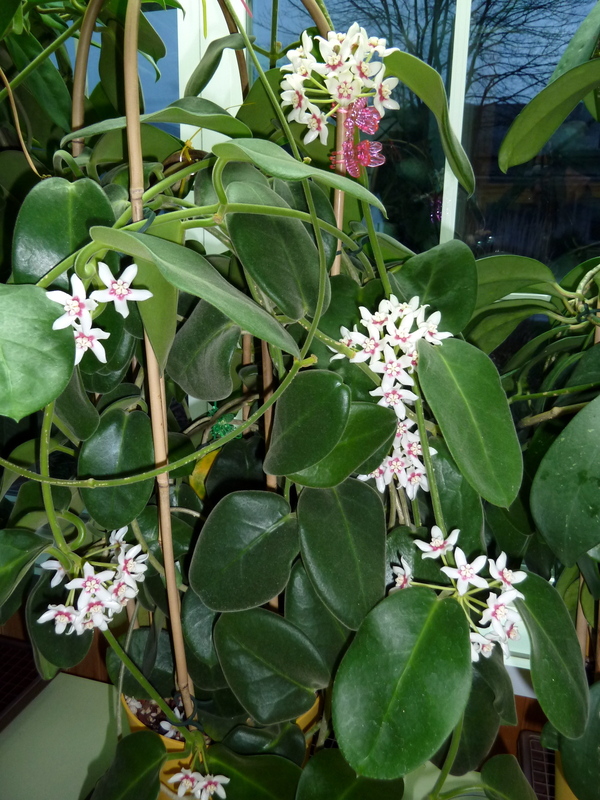 The plant is very fragrant and can infuse your entire house in a beautiful lilac scent.